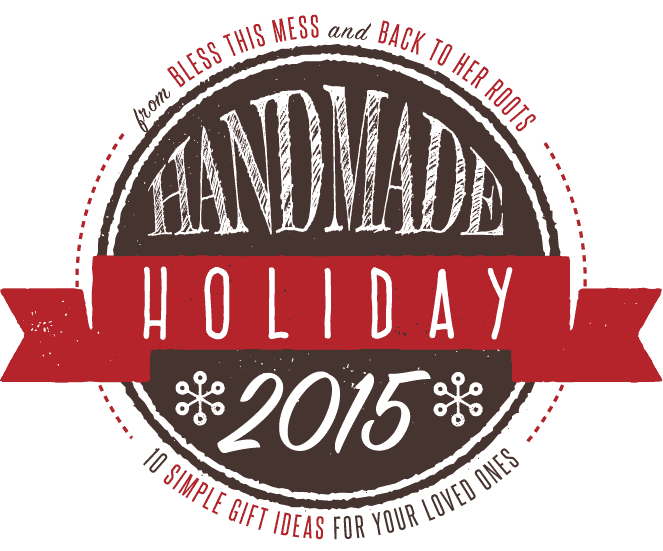 Handmade is so my jam, and I’m excited to bring you a whole week of simple handmade gift tutorials that you can that you can give this year! 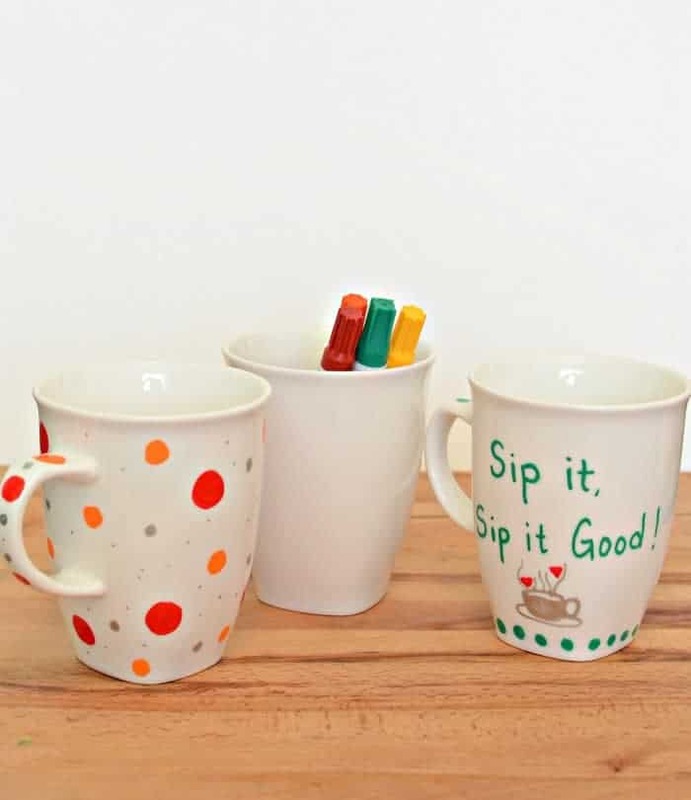 I’m starting the week off with Painted Sharpie Mugs (that won’t wash off!). I’ve done tons of research and testing on this project and I’m confident I have the best tutorial out there! I thought I might take a little break this week from blogging because today will mark 30 straight days of blogging (!!!) and I’ve officially met my NaBloPoMo goal of writing/blogging every day in November. I can’t believe I’ve made it! Thank you so much for all your love and support. That being said, I have another whole week of posts all ready for you! When you have something to share, you just have to share it!. My friend Cassie from Wholefully and I decided that it would be fun to do a handmade holiday gift palooza together this year. Have you popped over to Cassie’s blog yet? You should! I link to her lots and lots because we are a lot alike and she has great content to share. She’s one of my all time favorite blogging-turned-real-life friends. She’s a great mom, she loves to garden, has chickens, and is also really tall (just like me!). I bet you didn’t know we even talk on Skype every Monday. She’s kind, helpful, and such a true supporter of all of my crazy adventures. I just know you’ll enjoy her too. 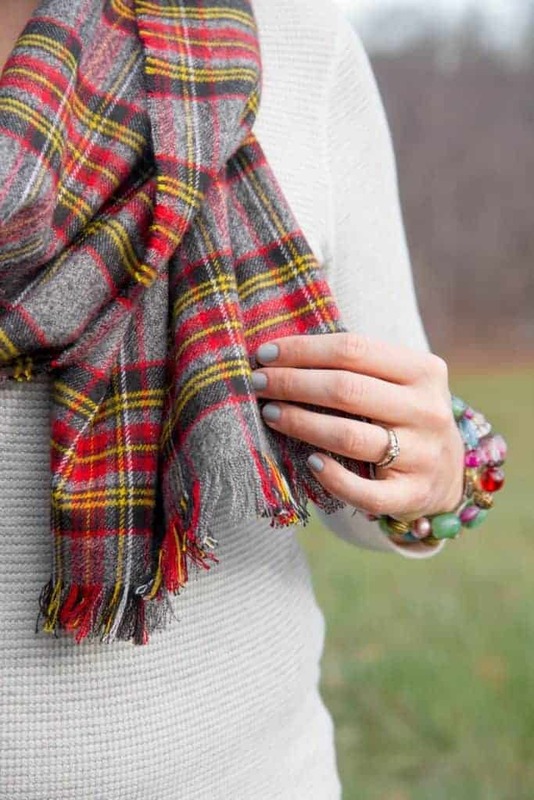 She’s sharing a gorgeous DIY No Sew Flannel Blanket Scarf on her blog today. I can’t get over how pretty (and easy!) this project was. 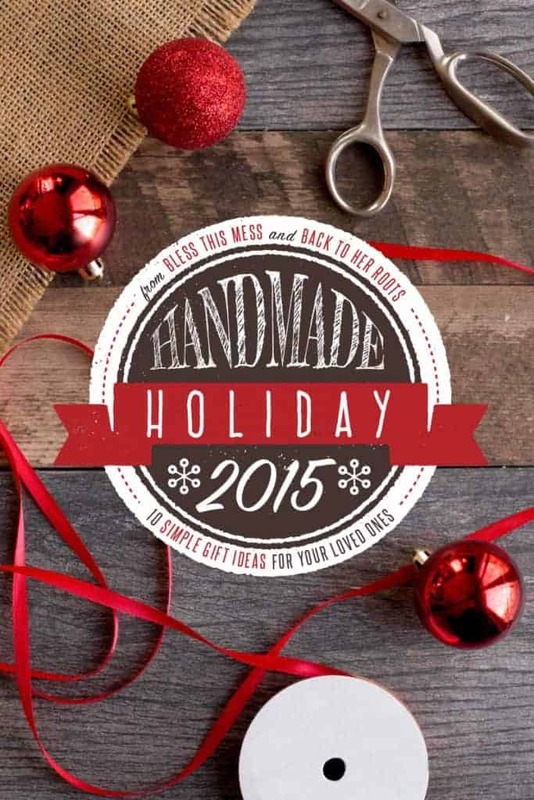 Stay tuned, we are both sharing a simple handmade gift every day this week! Enjoy this little endeavor from us to you. 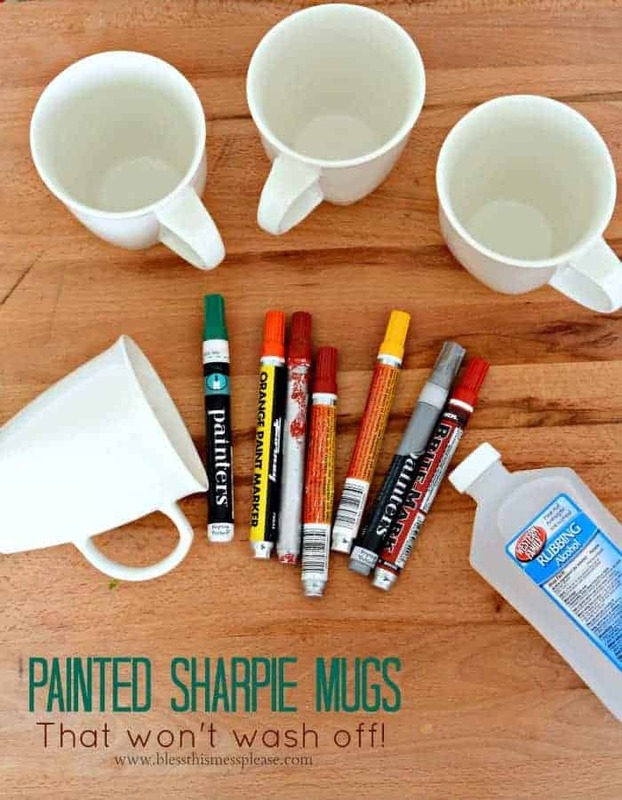 Sharpie mugs have been popular for a few years and here’s why, they are personal, really fun to make, and a pretty inexpensive gift to give. A few weeks ago I had my Activity Day girls make these (along with some homemade hot cocoa mix) and they had a great time! This was a perfect project for those 8 to 11-year-old girls and they came up with the most creative designs to go on their mugs. One girl drew their family cattle brand, one made the mug handle into an elephant nose, another did a fun snowman family, and yet another made the cutest panda mug. My kids made mugs to give as part of their teacher gifts, and I made a few to stick in the mail and send to friends. If you google “sharpie mugs” you’ll get a million ideas for designs, funny quotes, and different simple things you can put on your mug. The key to making these homemade gifts last a really long time is to NOT use normal sharpies, surprisingly enough. You want to use an oil-based paint marker. Sharpie brand does make these, but a traditional permanent marker is not the same and will wash off. I used some paint pens found in the welding section of our hardware store. These paint pens that are specifically used to decorate porcelain had great reviews on another blog and this is what the Sharpie paint markers look like. I used a medium tipped marker, so pay attention to the size when buying. A thin/fine/medium will probably work best for your mug projects. Larger tips will make adding details harder. I bought plain white mugs from our store. I paid about $5 per mug. You can buy plain mugs at the Dollar store but I have found that you get what you pay for. The cheap mugs seem to chip really easily, so I don’t recommend them. Most retail stores will have some plain coffee mugs you can use. White works really well if you want to use colored markers but I did see someone use a black mug with a metallic marker. White is your safest bet though when it comes to this project because the paint shows up well on a white surface. You are going to love the flexibility of this project! 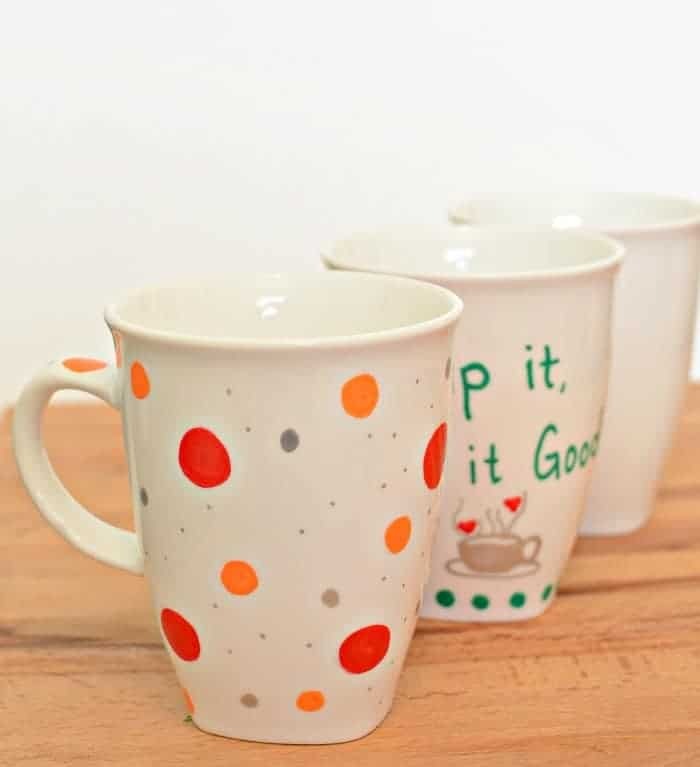 A handmade mug is just begging for some candy, hot cocoa or a favorite tea, a gift card, or a homemade ornament to get nestled inside and the whole package given as a thoughtful (and useful) gift. Enjoy! 1. Start by washing your mug in warm soapy water to remove any stickers. Rinse and dry. 2. Put some rubbing alcohol on a cotton ball and rub all over the outside of the mug (where you’ll be painting it). This will help to remove any residues that might encourage your paint to not stick. 3. Decorate with paint pens however you’d like (I did not put any paint inside of the mug since I assume the paint is not considered food safe). If you make a mistake use a cotton swap dipped in rubbing alcohol to wipe away any mistakes. 4. Let your painted mug dry for 24 hours. 5. Bake your mug to set the paint. Place your mugs on a rimmed baking sheet (makes getting them in and out of the oven easier) and place them in a cold oven. Turn the oven on to 375 degrees and let it come to heat. Once preheated, let the mugs bake for 25 minutes. Turn the oven off, leaving the mugs inside, until it cools down. This whole process will take about 2 hours. Once the mugs are cool you can wash again in warm soapy water and then use them! I have put ours in the dishwasher and they are still holding up well (it’s been about 3 weeks), but I’d recommend hand washing if you want them to really last a long time. I just love how personal you can get on these. You could do a monogram, add a favorite quote, make stick figures to represent a family, refer to inside jokes, or feature a favorite pet. 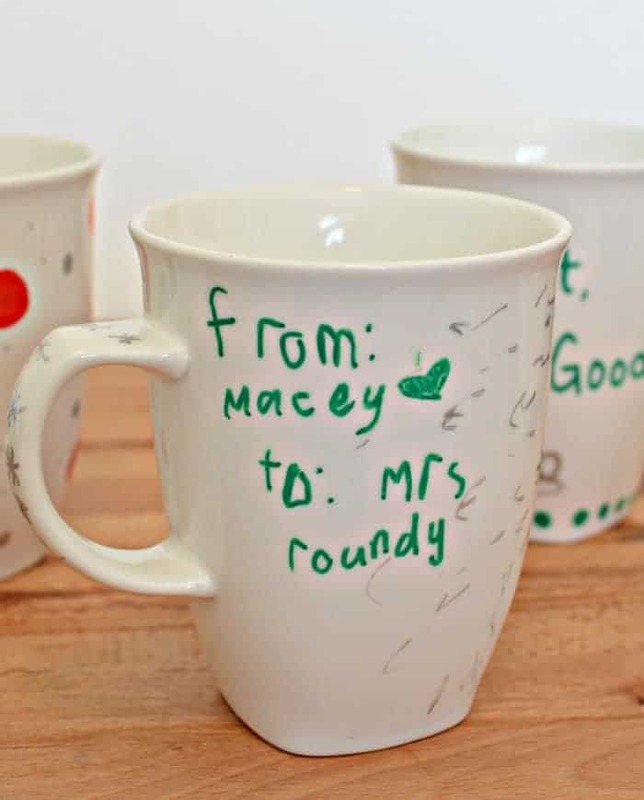 The mugs my kids made for their teachers are so personal and really show their age. Grandma’s go nuts over that kind of thing too right?! Long live handmade! I hope you just love this little series. I’ll see you back tomorrow for yet another handmade gift tutorial. Disclosure: The links to Amazon are affiliate links. If you make a purchase through my link then I get a small kickback for referring you. It doesn’t change the prices at all for you, but it sure is fun for me to get a few extra spending dollars this time of year! Thank you for supporting me in all these fun blogging activities. Thanks for the info! I was going to make these with Sharpies; glad I didn’t! I hope the craft store has these oil based pens. Do you know if you can do touch ups and bake a cup a second time? There were places on mine where the colour faded and streaked. Would oil based sharpies be a problem for 5 year olds to use? I’m worried it will get on their fingers and stain and I wouldn’t want to use chemicals on their skin to get the paint off afterwards. The only problems that my younger kids had doing them was, they would hold the mug and smudge the design and get the paint that was already on the mug, on them. So if you could hold the mug that helps a lot. A little rubbing alcohol actually takes off the paint well if it does get on fingers. Do you need to wait 24 hours or can you bake them the same day?? I think you are better off to let the paint cure for 24 hours but if you let them dry for a few hours I’m sure it would work well too. Love the scarf idea! I’m going to make one for my daughter! What are your favorite paint pens/markers – which brands/colors have held up the best over time? I’ve used the Forney brand of paint pens the most (we carry them at our hardware store) and they still work great. The darker colors have done the best (blacks, blues, red, orange) the green and yellow seem to lighten up a bit, but with hand washing we still have paint pen mugs that look great 3 years later! I am doing this for mother’s day and I am so excited. Thanks for all your tips. I have a question. I have 32 preschool students and don’t have the time to take all 32 plates home to bake. Can my parents bake them at home after 2weeks made? Yep, as long as the marker doesn’t get scratched or rubbed off or washed off before that happens or on it’s way home. I think that’s such a cute mother’s day idea!